The Bears on Broadway first appeared way back in May of 2005. 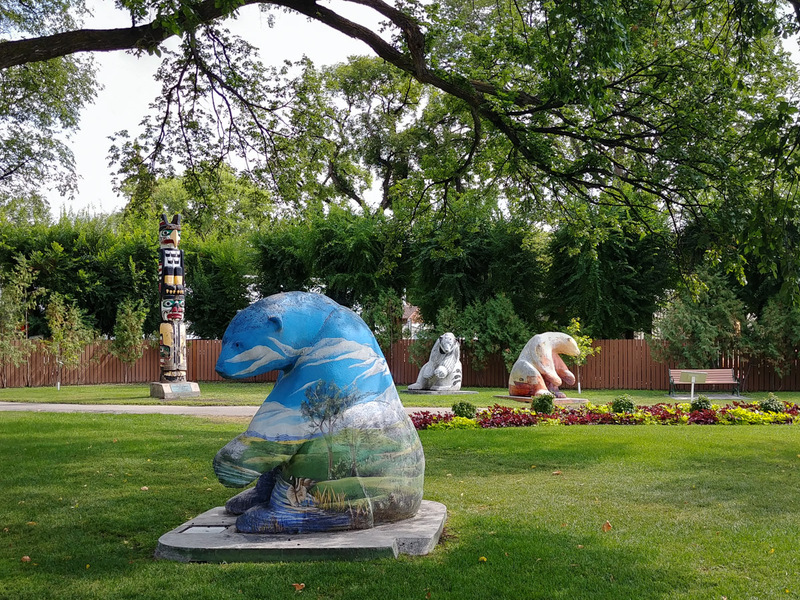 Winnipeg’s Broadway Avenue became home to sixty-seven of the most beautifully designed and decorated polar bears. These amazing bears were established to commemorate the 75th Anniversary of CancerCare Manitoba. Some 13 years later, you will still find them at various sites scattered throughout the city. These three now share a home on Assiniboine Ave. behind the Manitoba legislature.